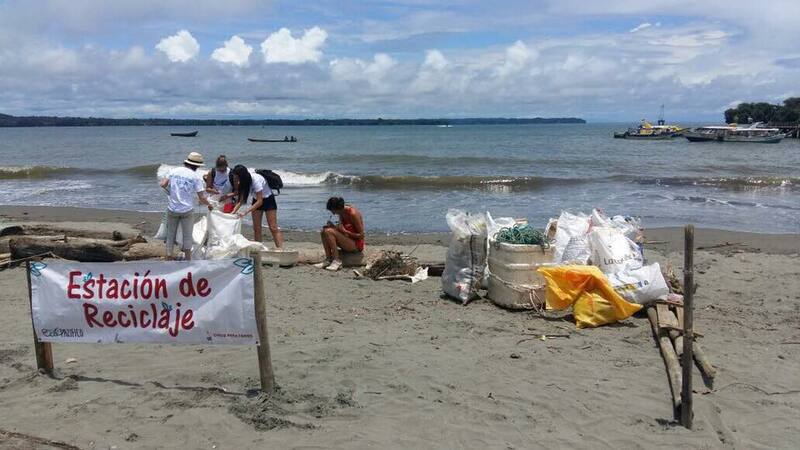 For this international coastal clean up day, over 100 national and international volunteers gathered in the beach of Juanchaco to collect over 2 tons of trash. Our most found material was STYROFOAM. Wwe really don’t like people that still produce, and consume styrofoam. We had the support of the collective “El Fabriclaje” a collective dedicate to transform trash into toys and playful instruments. The fabriclaje also made a pelican out of 100% Mapare collected during the beach clean up! You can see the clean up day album in our Facebook Page!